A selection of blog posts by James Paterson. Chaired a very interesting panel discussion on internal audit independence for the IIA UK Leaders Conference in London in March 2017. I have written up the key points in an article that includes some great advice, but also looks at the real world challenges and dilemmas that internal auditors face to balance “value add” and being a “trusted advisor” with independence. It also includes the results from two polls outlining the views of the audience of heads of internal audit on the extent of these pressures. 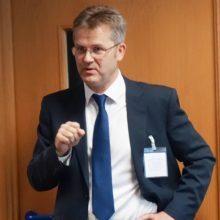 The article concludes with some specific ways heads of audit might test their independence, but builds most welcomed to me on jcp@RiskAI.co.uk. The Routledge Companion to Lean Management is about to be published and contains an new article on ‘Lean Auditing’ by James Paterson. ‘I feel proud to have been included in this book with so many notable lean experts’. Over the past 15 years working in the internal audit arena I have seen a growing interest in the topic of Root Cause Analysis (RCA). My involvement in the topic has evolved from using it as part and parcel of a “lean auditing” approach, to running RCA workshops and consulting advice across Europe. I was also responsible for helping the IIA UK to up-grade its guidance on Root Cause Analysis (published in 2015). Over the past 12 months I have delivered open and in-house courses in the UK, France, Norway, Switzerland and even Mauritius! 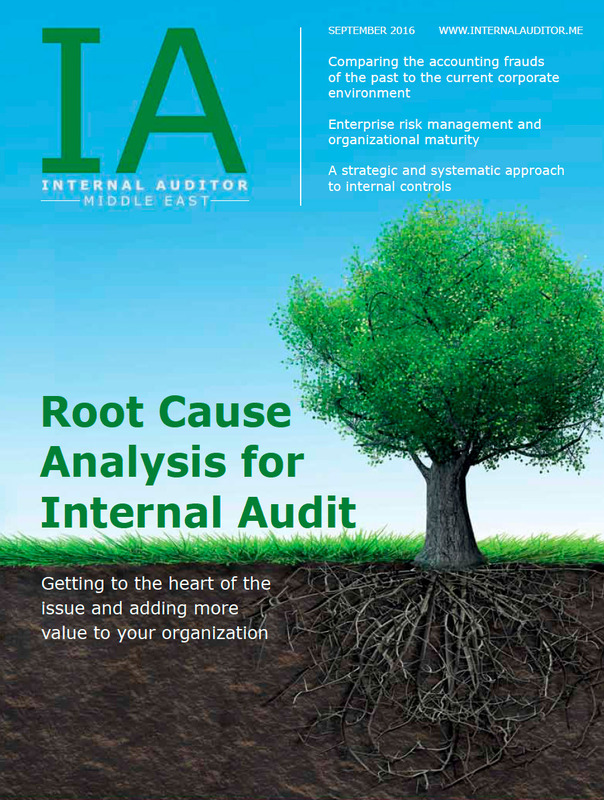 Delighted to have had my article on Root Cause analysis featured on the cover of the IIA Middle East September 2016 magazine. James Paterson speaks to Jenni Hardy about culture and the HR function – April 2016. James: We’re going to talk about culture, and behaviour, and how you would know that you have a good culture. Can you please take us through some of the thoughts you have about how to approach this based on your own experiences in HR? Jenni: In my experience culture is significantly influenced by the strategy of an organisation and its leadership; these are the key transformational influencers. The culture is also affected by the external environment, so what industry sector the organisation is in, what markets and its competitive environment etc. Then how you measure it, and how you see it, how things work around here, is best evidenced by the observable behaviours, what goes on around here. This can also be complemented by an annual employee survey.